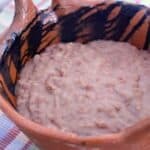 Semi-homemade refried beans with just three ingredients! These are so easy and taste much better than from the can! 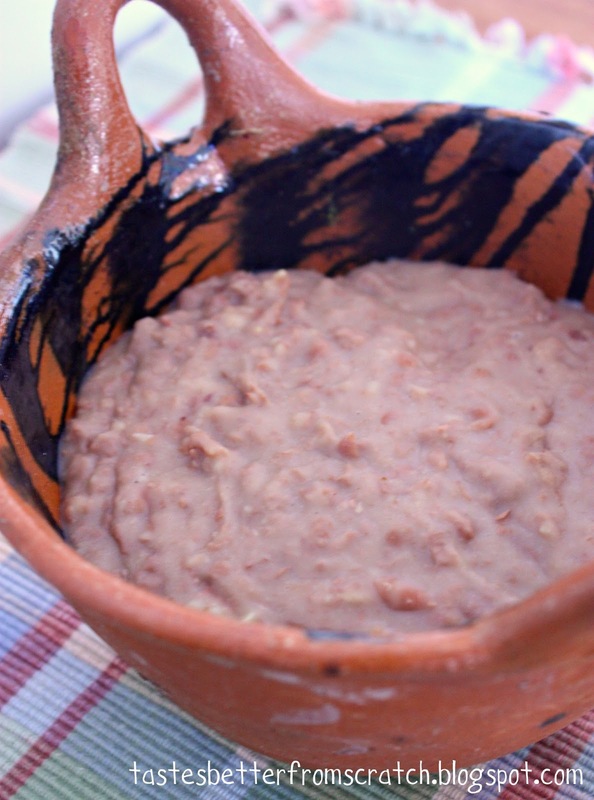 Lets be honest, not everyone has the time to make Homemade Refried Beans. For you time savers, here is a “semi-homemade” option that only takes about 5 minutes and yields a tasty result! If you’re up for making them from scratch, click here for our recipe. Semi-homemade refried beans are so easy and taste much better than from the can! In a large skillet, heat oil over medium heat. Add the garlic and cook, stirring constantly, for one minute. Add the pinto beans with their liquid and smash them with a potato masher or the back of a spoon. Stir in cumin. Continue stirring and mashing until you get the texture you like and the beans are the consistency of soft mashed potatoes (3-5 minutes). Season with salt to taste. Anxious to try this quick method but have never found a canned pinto beans product I’ve liked. Can you recommend your preferred brand? Thank you!